According to color data of men's sweatshirt knitted fabrics, summer colors will be the trendy colors in A/W. These colors are adaptable. Besides black, white and grey, tomato puree and princess blue are outstanding, livening up sweatshirt knitted fabrics in 19/20. In this age full of challenges and uncertainties, new forces of the post-90s and post-2000s value freedom and dreams, dare to change the status quo and express themselves. Therefore, sporty sweatshirts sit in line with the dramatic quality. 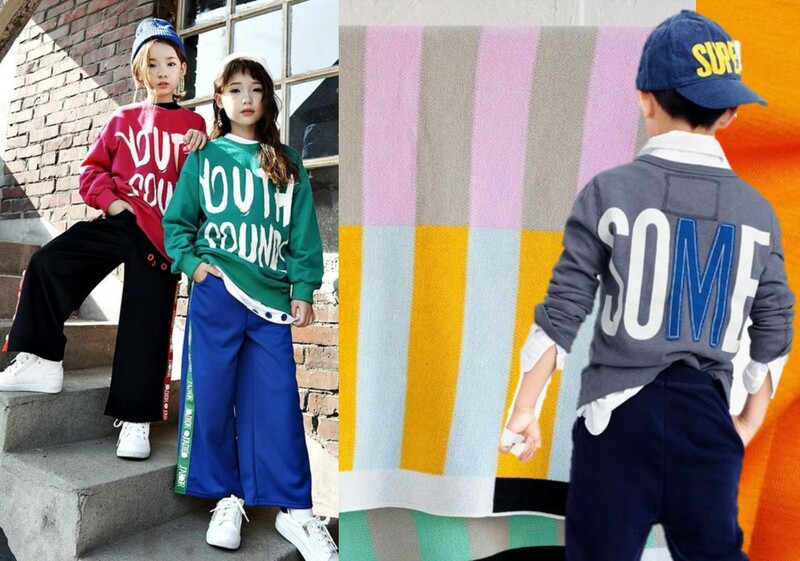 Influenced by the street sport styles, loose sweatshirts become key items for children. It's fun for little kids to wear oversized garments. High-density cotton and terry knit are preferred, stripped fabrics are also trendy. 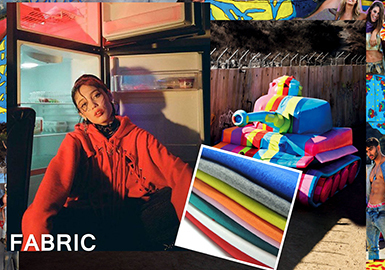 Self Luminescence celebrates bold colors. 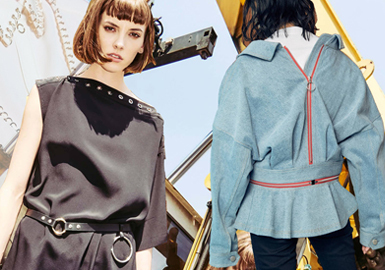 Different from the traditional street activewear, this theme combines with chic styles and features glossy materials. 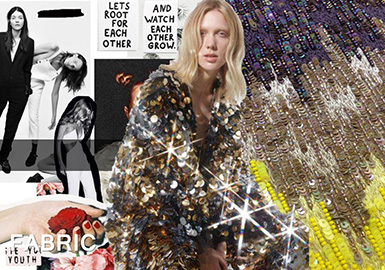 Exaggerated sequins are key, interpreting the strong statement of Generation Y in mix-and-match looks. 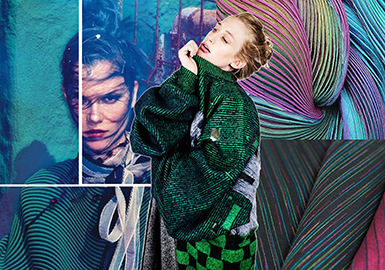 Few garments can combine fashion with function, but sweatshirt is an exception. 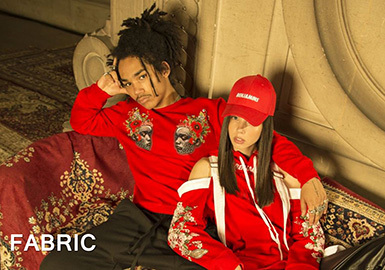 In A/W 18/19, sweatshirts with creative design become hot items. 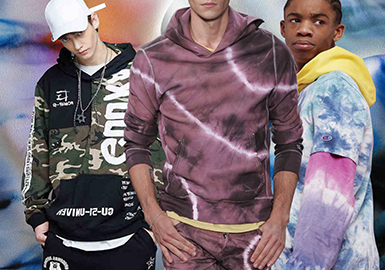 We summarize the color trend of sweatshirts on the basis of the latest fashion shows. One of the basic item, sweaters are often associated with leisure and sports. 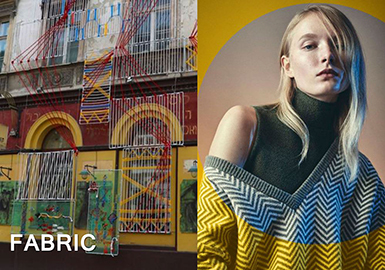 With the sporty style sweeping the fashion field, sweaters begin to hit the streets. 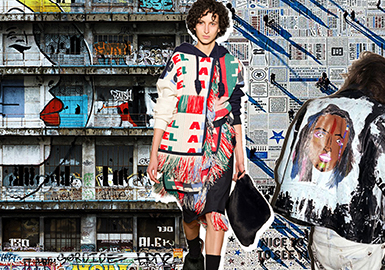 The knitted fabric is inspired by the urban streets. The guidepost-inspired color blocking complements the knitted fabric and jacquard fabric which made of cotton, wool and viscose fiber. The theme explores the relationship between human and technology, bringing intense sensory experience and pleasure. Fabrics and materials can stimulate our feelings. 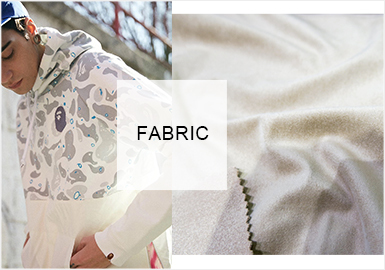 The sensory texture and immersive colors create premium ski-friendly fabrics.